Are you in search of the best residential roofing company to handle the roofing project on your Troutdale area home or business? 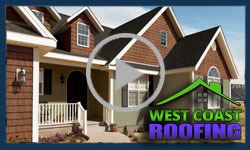 West Coast Roofing is the Troutdale residential roofing company of choice that has the experience and knowledge to help you with all of your roofing needs. Whether your Troutdale area roof is in need of simple repair or a complete replacement, West Coast Roofing can help you understand all of your options so that you can make the roofing decision that is right for your Troutdale home. You can trust West Coast Roofing to install, repair, or replace your roof to the highest industry standards. We are the Troutdale residential roofing company that can provide you with a top-notch roofing solution that will protect the serious investment that you’ve made in your home. When it comes to Troutdale residential roofing companies, you’ll find the West Coast Roofing team will be courteous and respectful and committed to working within your budget. While providing you with the highest value possible as we complete your roofing project.